Commander James D. Chess III is a retiree from the United States Air Force. He is a native of Dayton, Ohio and the husband of Sylvia Chess, who currently serves as the, newly elected, president of the Emanuel L. Young American Legion Post 838. He obtained his Master's Degree in Business Administration from Columbia, University. 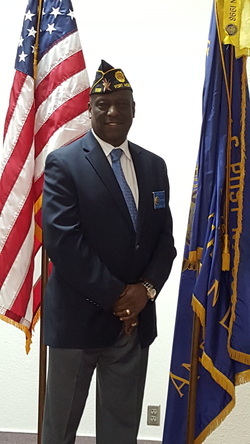 Commander Chess has been employed by the Department of Labor, for over ten years, as a Financial Analyst and has presented a life of stability within the Fort Worth, Texas area. He has been a member of Post 838 for over eight years and has served with dignity, pride and determination. ​Commander Chess goals for Post 838 is to create an environment that will promote learning, social services and education for our veterans/military families, civilians and youth.